Description: As Victor gets "Vocal for Local Business" this week, we get advice for our SPRING AND SUMMER PROJECTS! Vic speaks with Todd Young, owner of WASAGA BEACH HOME HARDWARE and Megan Wilding, General Manager and Paint Specialist. We get the EXPERT ADVICE on this to save you money and time. How, when and what to fertilize with, depending on where in The Beach you live, for each season Spring to Fall and so much more! Megan spills the beans on what is TRENDING in the paint department and gives us some valuable tips . This is a LOADED SHOW for all your Spring & Summer Projects! 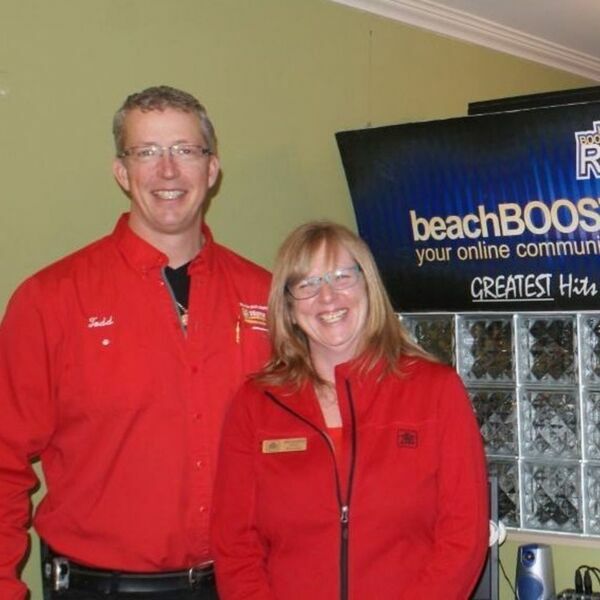 BEACH BUSINESS SPEAKS from Beach BOOSTER Radio is available ON DEMAND from our Podcast page. Please enjoy and SHARE! As Victor gets "Vocal for Local Business" this week, we get advice for our SPRING AND SUMMER PROJECTS! Vic speaks with Todd Young, owner of WASAGA BEACH HOME HARDWARE and Megan Wilding, General Manager and Paint Specialist. We get the EXPERT ADVICE on this to save you money and time. How, when and what to fertilize with, depending on where in The Beach you live, for each season Spring to Fall and so much more! Megan spills the beans on what is TRENDING in the paint department and gives us some valuable tips . This is a LOADED SHOW for all your Spring & Summer Projects! BEACH BUSINESS SPEAKS from Beach BOOSTER Radio is available ON DEMAND from our Podcast page. Please enjoy and SHARE!